Everyone knows that flowers have a language of their own. But sometimes translating that language can be difficult. So here is a little refresher. Calla lilies speak of beauty. Baby's breath promises a long lasting love. Daisies are all about innocence. And, roses yell at the top of their lungs of love. But, what do black roses mean? They whisper of death. Not your death silly. But, rather a great change or end to something. Yet, sometimes they also don’t mean anything. Sometimes Flowers are just pretty. 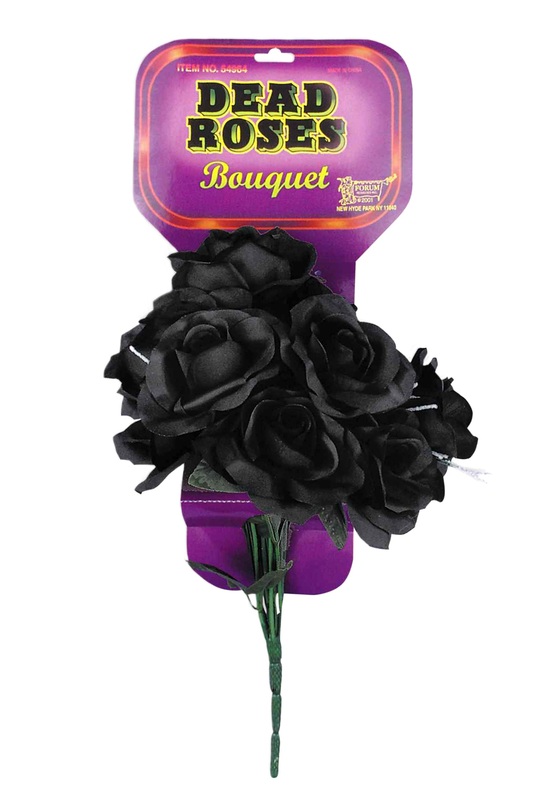 So, if you are gifting this Black Rose Bouquet, remember the language of flowers—or at least make sure they like black roses. If they are for yourself, consider how good they would look in a vase next to a pumpkin. Or, how perfectly they would pair with a Gothic costume.